Value: comparable to other Gins in its class – neither a good deal nor a bad one. Unlike the many London Dry Gins that pepper the planet and confuse a neophyte, “Plymouth Gin” is the only Plymouth Gin left. It is its own classification. And to my palate, while it stands toe to toe with other juniper-forward gins, it is cleaner and more subtle. In the “let’s not mince words” department: Plymouth could quite literally be “The Gin for Those Who Claim to Hate Gin.” And, if you can only have one bottle of gin in your house, Plymouth is IT. Black Friars Distillery has been cooking up this gin since 1793. Compared to other gins, Plymouth is cleaner, earthier, and less cloying in its application of juniper and other aromatics & herbs. If you can only have one bottle of gin in your house, Plymouth is it. Most folks don’t think of gin as an alcohol to sit and sip. If folks think of it at all, they think: “Gin…. and tonic.” And that saddens me. But more about the long, dark tea-time of my soul later. Gin can be enjoyed on its own, and Plymouth is one of those gins. Sipping Plymouth on its own, you get very little bite. Almost pepper, not much spice. Not much of anything. What you do get is earthy & juniper…y. But again, not much of that. It is a very clean gin. 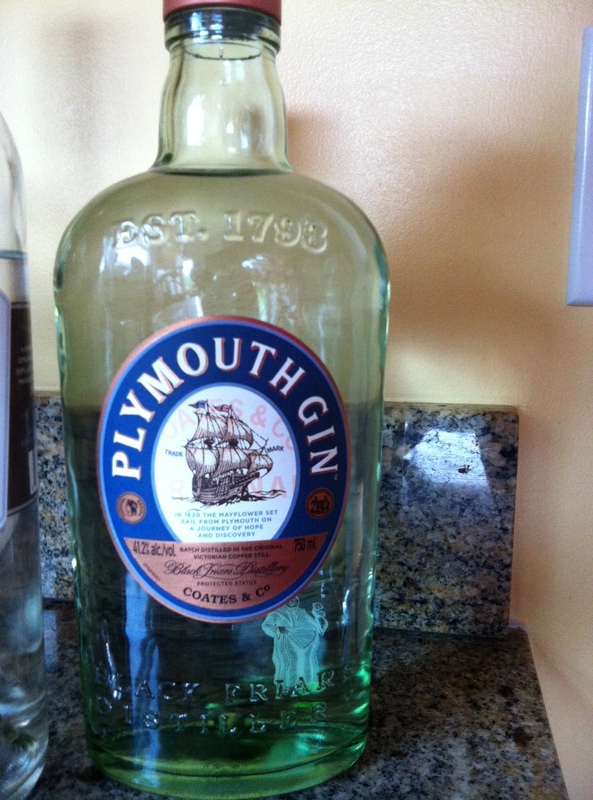 Plymouth gin would sit squarely in the middle… but about 4 steps down, removed… due its subtle flavors. This is a gin that begs to be made into a Martini or a Gibson. You can even go the proper route and stir your Martini/Gibson if its made from Plymouth. Its mellow profile doesn’t need much water to tame it, but a correct measure of Dry Vermouth is just what it needs. This is a gin that begs to be made into a Martini or a Gibson. Now, I enjoy alcohol that announces its presence. I like a gin that says “I HAVE JUNIPER! FEAR ME, THOU OF UNREFINED PALATES!” and Plymouth is *not* that gin. Still, it is approachable, tasty, and endlessly versatile. Its not the be-all-end-all of gins, but if I were trapped on a desert island and could only take one bottle of booze with me, Plymouth would likely be it.